to find and flag suspect websites. This means that when you are surfing the web, we can now warn you when a site is unsafe. 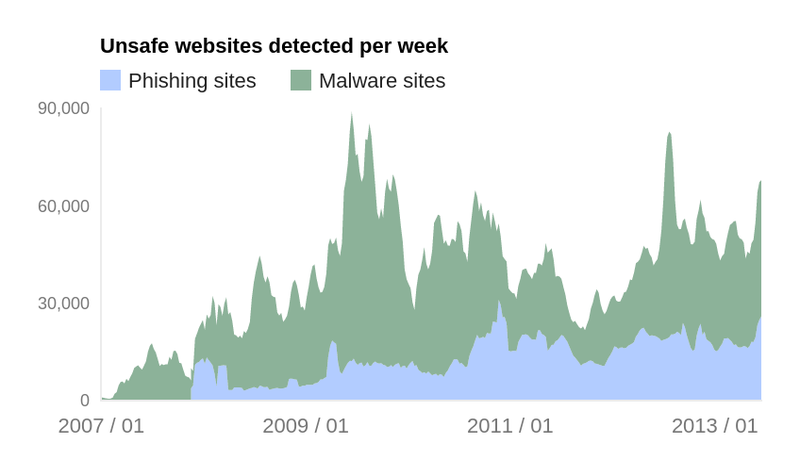 We're currently flagging up to 10,000 sites a day—and because we share this technology with other browsers there are about 1 billion users we can help keep safe.